Finish it off with fun and funky shapes. 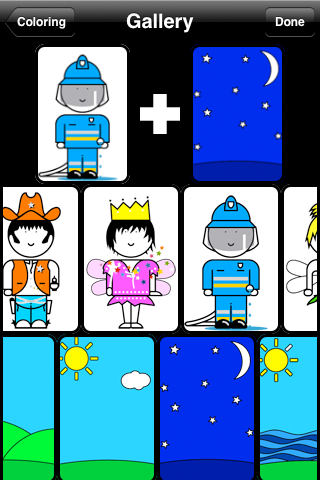 goColoring has ten fun and funky characters to choose from. 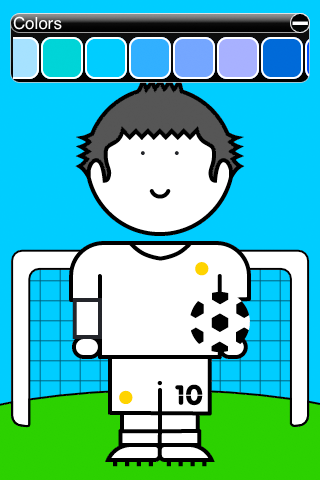 Combine character with background to create a picture. Tap the screen to add color, slide on the screen to display the crosshair. Touch and hold to show the menu.